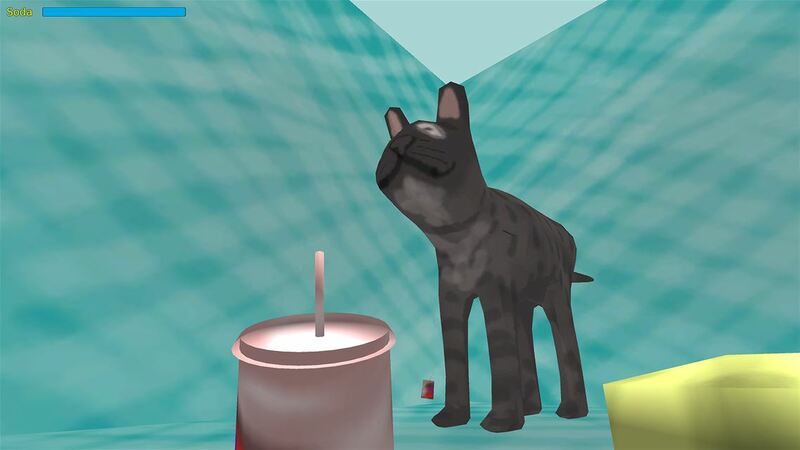 Soda Drinker Pro is absolutely the worst game available for Xbox One. Period. End of discussion. It is ugly, sounds awful, has the dumbest concept ever, and the lamest gameplay in the history of videogames. Even the one saving grace of the title, a hidden minigame collection called Vivian Clark, isn’t especially good either despite being miles and miles better than Soda Drinker Pro. We wasted our money so you don’t have to, so check out our full review. 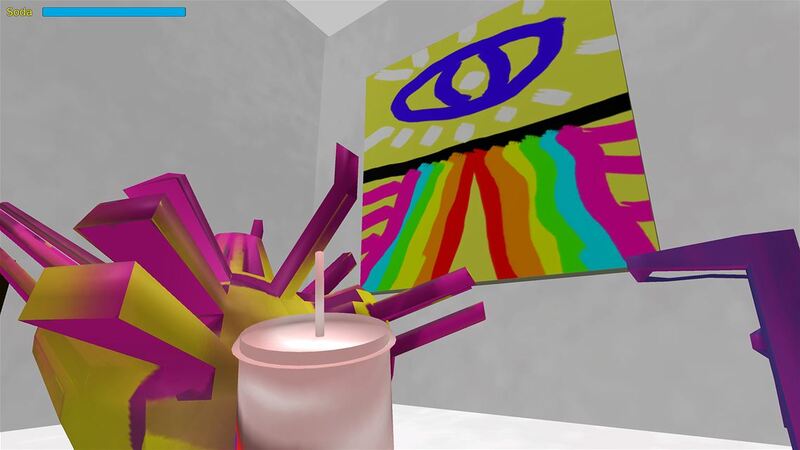 Soda Drinker Pro is a hideously ugly looking soda drinking simulation where you drink soda in exotic locales created in MS Paint like a pool or a convention or on top of a building. The gameplay consists simply of holding one button do bring the soda to your character’s lips, and then another button to drink. When the soda is empty, the level is over. That’s it. That’s the game. It is the dumbest concept ever and is an absolute insult to anyone with half a brain. That’s the joke, though. Soda Drinker Pro is just a prank and a lame cover for the actual real game hidden within it, a frantic minigame collection called Vivian Clark. By entering a cabin in the second level of Soda Drinker Pro, you unlock a brand new game called Vivian Clark (which will now be accessible from the main menu). Suddenly the ugly low resolution MS Paint visuals go away, and actual high definition good looking artwork takes its place. Similar to the WarioWare titles from Nintendo, Vivian Clark is a collection of fast paced minigames where you only have a second or two to realize what you’re supposed to do and then do it. Things like cleaning an eyeball or playing a platformer with a weird looking star man or controlling a falling drop of rain as it falls through the sky, among many, many others. The minigames get really crazy, and there are a lot of them. The problem, though, is that none of them are particularly fun. They all control poorly and once the shock of how crazy things are wears off, the game loses its appeal very quickly. So the secret behind the terrible Soda Drinker Pro is that it’s really just a cover for the real game, Vivian Clark, but Vivian Clark is also pretty poor too. The whole point of this title is that it is quirky and weird, but that can only carry you so far before the reality of just how awful everything is sets in and you realize you wasted $10. Don’t buy Soda Drinker Pro. If you’re curious about Vivian Clark, watch a YouTube video of it instead. Soda Drinker Pro is just putrid.